Detail, stained glass First Vision, Holy of Holies, Salt Lake Temple, Ralph Graham Savage photographer (1911). I thought how happy must Jesus Christ have been when he suffered for sinners. It would yield some satisfaction to me, if my misery can be a cause of happiness to others; but when I came to the place of prayer, had kneeled down, and closed my eyes, with my hands uplifted toward the heavens, I saw Jesus Christ at the right hand of God looking down upon me, and God the Father looking upon him. The look of Jesus on me removed the burden of my sins, while he spoke these words, “Be faithful until death and this shall be thy place of rest.” I never had seen Jesus Christ before, nor heard his voice, nor ever had a sense of his intercession at the right hand of God for me till now. saw heaven open, and Jesus at the right hand of God, and the Heavenly hosts surrounding the throne, adoring the Father and the Son in the most sublime strains. Like Hibbard, other early nineteenth-century denizens had similar visions with enough commonality to constitute a visionary genre—what I dubbed in the mid-1980s conversion epiphanies. Not long after returning from my LDS mission in 1979 I began researching Christian primitivism, poring over numerous eighteenth- and nineteenth-century American and British biographies and autobiographies, including Hibbard’s. By early 1983, I began devouring the sources cited in Marvin Hill’s PhD dissertation The Role of Christian Primitivism in the Origin and Development of the Mormon Kingdom, 1830–1844. Among the many historical figures Hill discusses is Elias Smith. 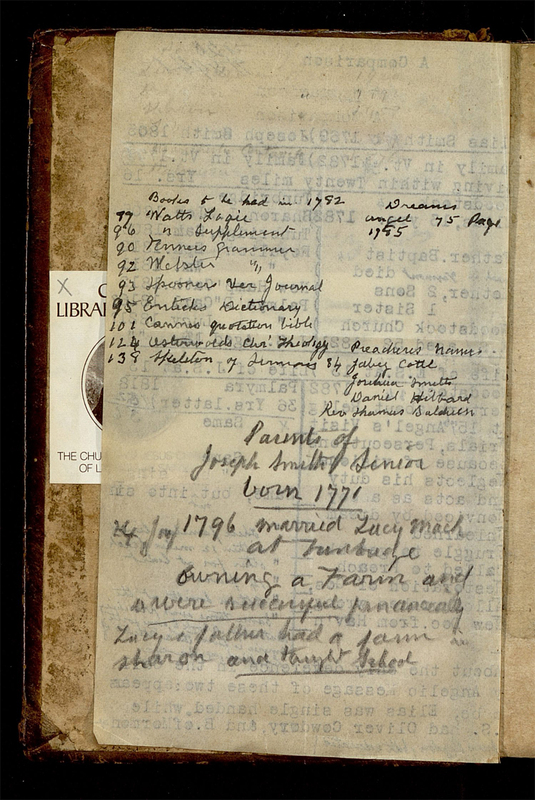 I was delighted to find that the LDS historical library (my favorite free-time haunt back then) had what turned out to be the first edition of Smith’s autobiography, though, as I elaborate in my online chat with John Dehlin, I never imagined how his life story would collide with mine. I told John that the late Wilford Poulson (a BYU professor and former owner of the book) had inserted a list of parallels comparing the two Smiths, Elias and Joseph, between the front cover and title page. I made a photocopy of the insert back in 1983, now buried somewhere in hundreds of research and book boxes in storage; so retrieving the photocopy in a timely manner is slim (as you can no doubt tell since I’m posting this months after John recorded our interview). Image 1 (see the images after the notes at the end of this post; click on each for hi-res pics) shows how library staff corrected the publication date from 1840 to 1816—the error that I pointed out to the library receptionist; the location of the volume was also changed from “Res” (i.e., Reserved) to “Vault,” thus making the volume inaccessible to the public, as I was told when I was subsequently denied access to the book. 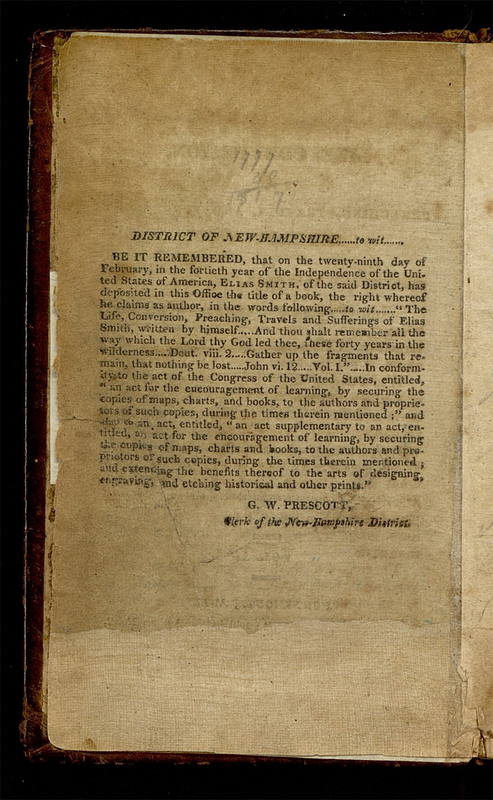 Evident in image 2, the publication date had been torn off the bottom of the title page; as I suggested to the receptionist, a library worker likely mistook the phrase “the fortieth year of the Independence of the United States of America” as 1840 (see image 3); possibly contributing to the misdating, there actually was an 1840 edition of E. Smith’s autobiography. 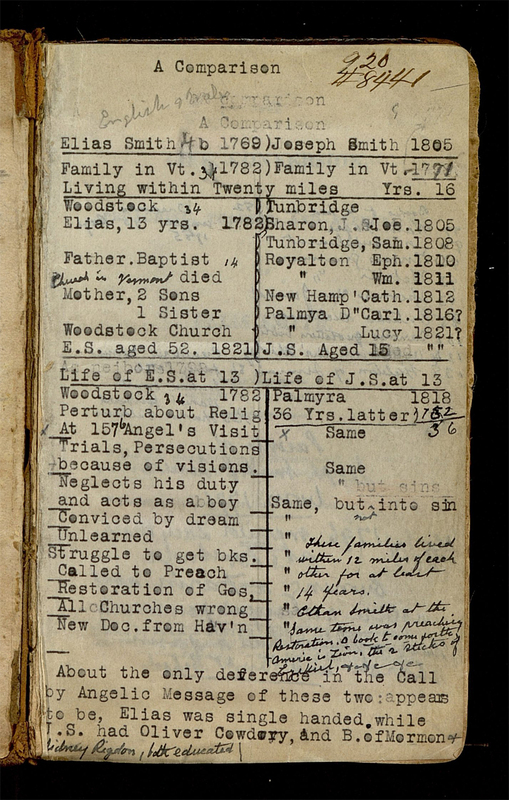 Markings and handwriting throughout the volume are typical of Poulson’s in books that he owned; the insert (see images 4–5) is also consistent with Poulson’s search into the rarity of J. Smith’s visionary experiences. 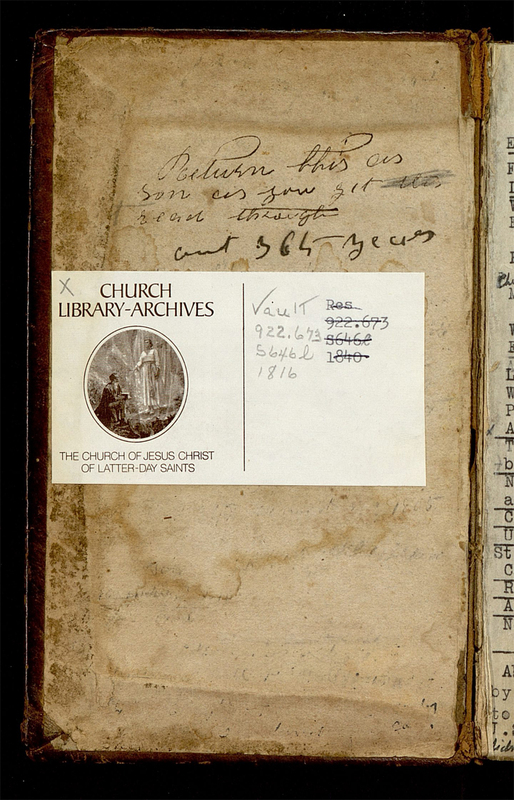 These are very exciting times for Mormon studies as a wealth of digital resources are increasingly available. 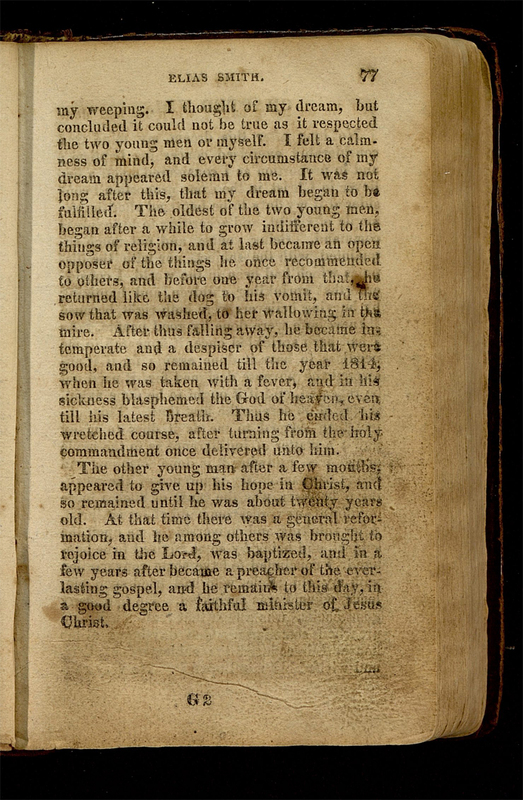 Billy Hibbard, Memoirs of the Life and Travels of B. Hibbard, Minister of the Gospel (New York: J. C. Totten, 1825), 23. Hibbard, Memoirs, 181; cf. “And we beheld the glory of the Son, on the right hand of the Father … And saw the holy angels, and them who are sanctified before his throne, worshiping God, and the Lamb, who worship him forever and ever” (D&C 76:20–21; see also Acts 7:56, 1 Ne. 1:8, Alma 36:22). 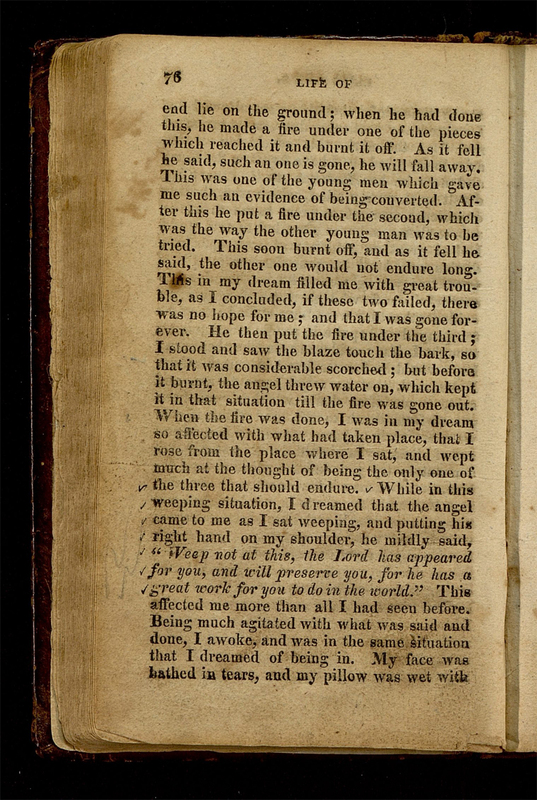 Shared similarities with contemporaries’ visions are especially evident in Joseph Smith’s depiction of his vision in his 1832 history. 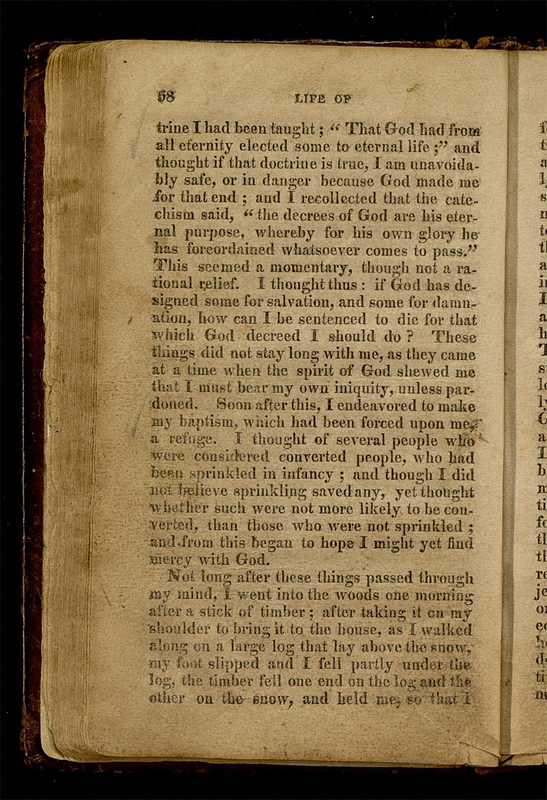 Elias Smith, The Life, Conversion, Preaching, Travels, and Sufferings of Elias Smith, vol. 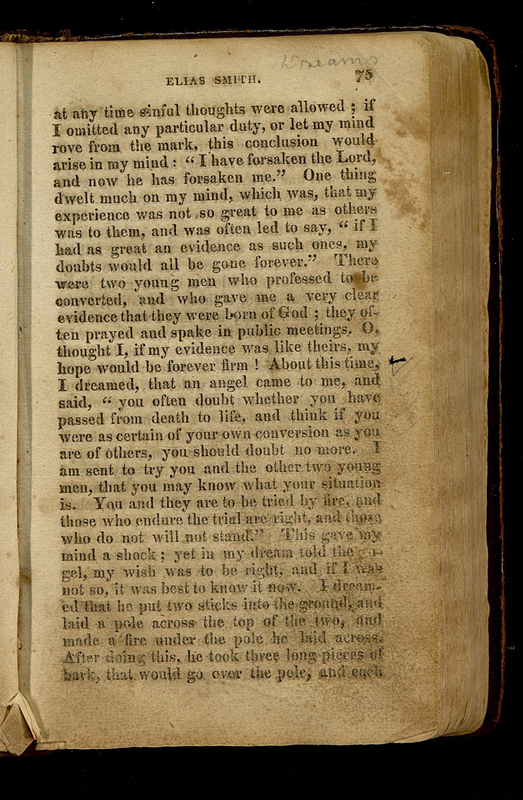 1 (Portsmouth, NH: Beck & Foster, 1816), LDS Church History Library, Salt Lake City, UT, call number 922.673 S646L 1816. 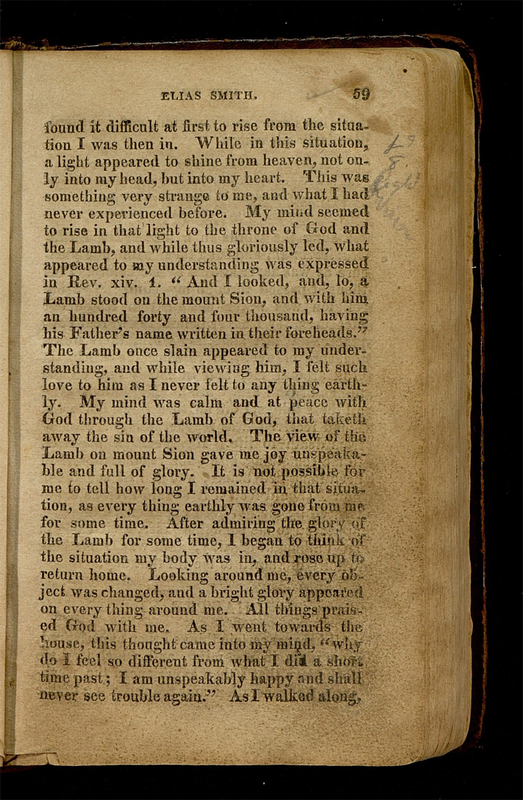 A searchable scan of the 1816 edition, housed in the Princeton Theological Seminary Library, is available on the Internet Archive here. 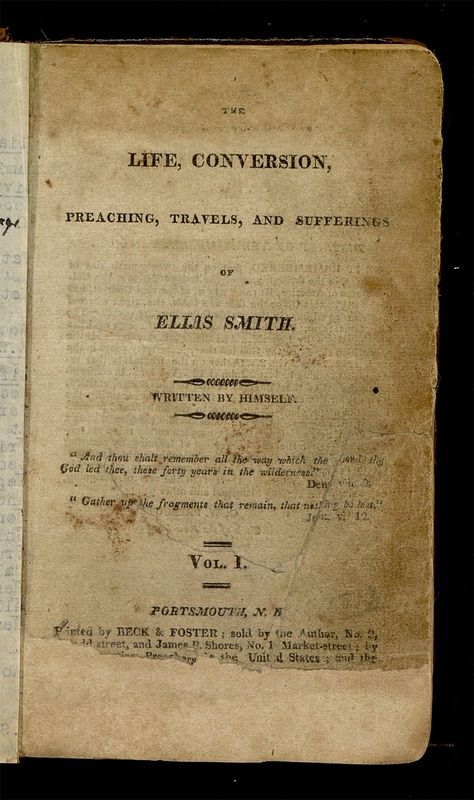 Elias Smith, The Life, Conversion, Preaching, Travels and Sufferings of Elias Smith, vol. 1 (Boston, MA: B. True, 1840). 2—Smith, _The Life_, title page. 3—Smith, _The Life_, pub date. 4—Smith, _The Life_, insert (recto). 5—Smith, _The Life_, insert (verso). So with the era of transparency will those items categorized as vault will now be available once again to the public?